If you are selling all of your players to the likes of Bayern or the WWEpl, of course you lose quality. Dortmund alone have sold Lewa, Auba, Mikha, Hummels, Sokratis they even have sold average players like Kagaw and Sahin. As a league they are selling players like Ozil, DeBruyne, Frimino, Mane, Sigurdson,Leno, Gnarby Sane, even crap or average players like Mustafi, Rudiger,Can or Kolasinac. And that is just the tip of the iceberg, half the Huddersfeild team were Bundesliga players, not to mention Pulisic and Sancho will probably be gone in the summer. So yeah the state of the league is not great, you cant sell your good, or not even good, but average players all the time. What it is good for though, is a team like Werder can make the UCL again, OK, at least Europa. @Doc wrote: Hans, Kovac is staying and you need to get used to this. In Pulisic's case, he is definitely gone this summer as Chelsea already bought him for like 60 mil or something. So, the other week Gladbach, as communicated by their GOAT DoF Max Eberl, announced that they will sack coach Dieter Hecking in summer. 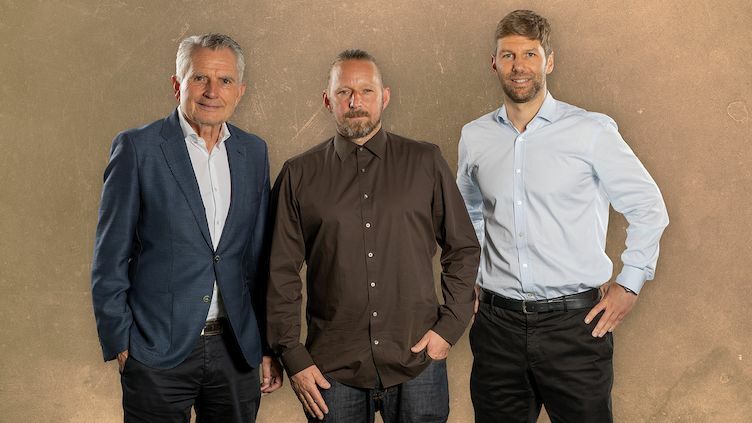 Hecking has overall done a quite decent job for them and isn't being fired for recent results or anything like that, but as Eberl said, they see potential for a better long term development with a different coach. That coach, we now know, is RB Salzburg's Marco Rose. Rose has been a hipster favourite for a while now, was hotly tipped first to be replacing Hasenhüttl at Leipzig (being Leipzig born and working for the RB franchise already), then later to be succeeding the new Leipzig coach Nagelsmann at Hoffenheim. I expected him to be in the running for the Herrlich succession at Leverkusen but they went with Bosz. Maybe Rose had already decided his future then, because now, Borussia Mönchengladbach has won the race for his signature. There's a press conference from RB Salzburg about to happen right now, where they'll probably announce that Rose will be leaving. If Schalke are smart, they get Hecking as their next manager. That is, if José Mourinho isn't interested. So after ruining Reschke's career and reputation within a couple of years, the karmic black hole that is the VfB Stuttgart now has made hipster darling and favourite of WhoScored-fans SVEN MISLINTAT of Arsenal fame, who has previously only worked as scout, chief scout AKA head of recruitment, their new Director of Football. Borussia Dortmund: Bürki – Wolf, Weigl, Akanji, Diallo –Delaney, Witsel – Sancho, Reus, Bruun Larsen – Götze. Mensch Meier! They are still playing football this late in the year? It is practically summer, you should be playing ice hockey now! Though I should be supporting the Maple Leafs, I like Nashville, great party town if you like live music. Anyhow, I guess BVB is trying to make the season somewhat exciting, squeaking through 2-1 home victories vs powerhouses like Mainz. Werder is looking like they might get into Europe, though they have a tough schedule for the rest of the year. I like the idea of them pulling off the win in the Pokal, they have to beat Bayern in one of those games. I think Fortuna can pull something off today, more hope than belief, but they have been getting results this season. Not sure why they are doing a triple header Sunday? I dunno, dont follow the football anymore, the kool kids all watch NHL Stanley Cup Playoffs this time of year. Even dropped to second place in the WWEpl fantasy thing. Is Reese Nelson the new Jaydon Sancho? Hoff leading 2-0 and should win this easily. Not sure who I like for the 4th position? Eintracht are good, but will lose all their Yugos next season, the Hoff are a wild team that can not defend, the foals are too weak, you cant trust the Pretenders. So yeah, I think it should be Bremen for the 4th spot. I'm not going to complain about Gnabry's performances this season. He's done very well within his limitations. Felix Zwayer should be in jail. Wait mislintat went from bvb to arsenal to Stuttgart? Or I missed something? @elfmeter wrote: Is Reese Nelson the new Jaydon Sancho? Hoff leading 2-0 and should win this easily. Not sure who I like for the 4th position? Eintracht are good, but will lose all their Yugos next season, the Hoff are a wild team that can not defend, the foals are too weak, you cant trust the Pretenders. So yeah, I think it should be Bremen for the 4th spot. But it's hard, just 5 games left, including an away game to Bayern. @Mr Nick09 wrote: Wait mislintat went from bvb to arsenal to Stuttgart? Or I missed something? DoF. He's got his own club to play Stat-based Scouting Jurassic Park with, now. Hope he can start his journey in the 2nd Bundesliga. and somehow the ex Nirvana, Foo Fighters guy is now managing Augsburg? @elfmeter wrote: and somehow the ex Nirvana, Foo Fighters guy is now managing Augsburg? What? You mean Martin Schmidt? Match of the Day about to start. The Man is showing this here on tv live. Fun fact: the last time Bayern failed to beat Werder was a 0-0 in 2010. OK, not so fun. Bayern huge betting favourites in this game, yet Werder have not lost a game since Christkindlmarkt-I dont know how long it actually has been. Looking at the Bayern lineup, I like the chances of keeping the streak alive, Bayern have Ulreich, Boateng and Muller starting, they wont be able to keep up the pace with Bremen. Meanwhile in the 2nd div, only Koln wants promotion. Bremen doing enough and holding their own, for now. I will ask it again, when did Serge Gnarby become Bayern's best player? It is looking really likely that VfB will be at least getting to play the relegation play off, could make it outright if they keep this up over the next month. Always get the feeling the Pretenders will screw it up. Playing most of the half down to 10 men, I guess it was bound to happen. Rather lose this than the pokal match. WTF is happening to Stuttgart?